Fracture sponsored the podcast this week, and gave me some store credit to order prints. They're gorgeous, and I wasn't paid to say that (but I need to disclose that they're a sponsor). I posted pictures of the unboxing, as even the packaging is something special. You can use a coupon code, TND, to get 10% off an order. June 5, 2013 by Glenn Fleishman. Duncan Davidson and Greg Koenig joined forces a few years back to start Luma Labs, a firm that makes across-the-chest camera straps. The two collaborated first on Luma Loop, a free-sliding camera strap, and then created Cinch, one that holds a camera tighter but still allows for movement. The Loop was kaboshed by a potential patent lawsuit; the second model has been a good seller, but with volume comes decisions about ramping up production. In this episode, we discuss all that, how they developed the original Cinch and Cinch 2 (about to be released), and quite a bit about rapid prototyping. Many programmers and engineers have a deep interest in photography or have shifted to it. A notable case is Bill Atkinson, the man behind the revolutionary QuickDraw system in the original Lisa and Macintosh systems, which provided a way for application developers to create consistent and rapidly drawn interface elements. Atkinson shifted entirely to photography several years ago. Duncan mentioned the 10,000-hour rule, a term coined by Malcolm Gladwell for his book Outliers from a study by Anders Ericcson into how long it takes to become an expert. Gladwell's gloss on the study has many detractors about the way he fixates on that number, but there's little dispute over the notion of an enormous amount of applied time to become good in a field or to develop a talent. Duncan has been the principal photographer for the TED conferences since 2009, and delivered a talk about "Why do we hate seeing photos of ourselves?" at TED@Tunis in 2012. Greg went to the California College of Arts and Crafts (now just of "the Arts") before he dropped out to pursue the school of doing stuff. Greg set me straight on a bunch of rapid-prototyping details. There are additive and subtractive methods. SLA (stereolithography) is additive, and relies on a photopolymer liquid that's selectively hardened with an ultraviolet laser. That's distinct from SLS (selective laser sintering), which fuses particles with a laser. SLS is much lower resolution than SLA. In both cases, the object being made is lowered a layer at a time (not raised as I mistakenly said at one point). 3D printing applies to all methods, but it's most commonly used now to refer to something like the MakerBot, which uses spools of filament, the tips of which are positioned melted a tiny blob at a time to build an object from the bottom up within a volume, often enclosed. Injection molding can make use of many different kinds of materials. We talked specifically about polymer-based injection molding, in which a high-quality, durable plastic product is created. We talk later in the podcast about CNC (computer numerical controlled) routers that are subtractive systems that can cut away material to form an object. The book you want if you like learning about material-production techniques is Making It by Chris Lefteri. Greg and Duncan note that a conventional camera strap connects to the two mount points at the top of a camera. 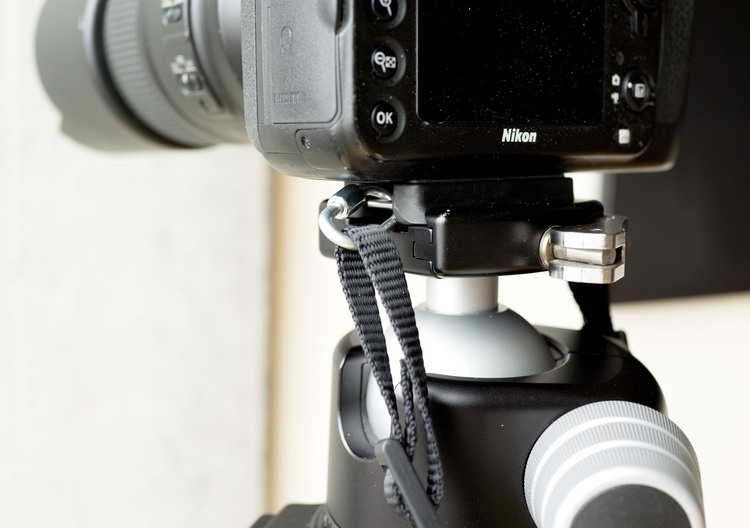 The Luma Loop connected to a single point or to the tripod mount using a clever screw that combined rubber and metal for a tight fit. 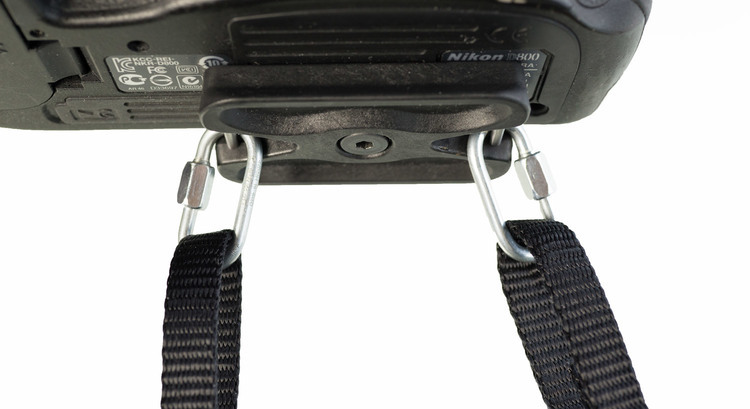 The Cinch, by contrast, used two points: one on the top of the camera body, and the other being the tripod mount. They've redesigned this with the new Cinch 2 (shipping in May). It uses a new kind of connector for the tripod screw: it's got two connection points to avoid having to use one of the top camera mount points, and it's compatible with standard Arca-compatible tripods. With the Loop and original Cinch, you had to unscrew the tripod connector to mount it; no longer. I explained in a BoingBoing article in November 2011 the particulars of the patent issue. Glif's creators, Dan Provost and Tom Gerhardt, gave a talk at XOXO (here's the video) and showed some of the copycat products. Posted in Products, Photography, Podcasts. April 17, 2013 by Glenn Fleishman.